If you were diagnosed with Anaplastic Large Cell Lymphoma after receiving breast implants, we can help you fight for compensation. In an Updated Safety Alert issued March 21, 2017, the FDA reported that it agrees with a determination made by the World Health Organization that breast implant-associated anaplastic large cell lymphoma (BIA-ALCL) can occur after receiving breast implants. Currently, data suggests that the rare non-Hodgkin’s lymphoma occurs more often with textured-surface breast implant than with smooth implants. The condition is most frequently found in patients who are having revision surgery because they developed a persistent seroma, or fluid buildup, long after healing from the initial surgery. Patients who develop breast implant ALCL are usually treated by removal of the implant device though some have required radiation and chemotherapy. The FDA reports that at least 9 patients have died from the condition. Patients who have implants should continue to perform self-exams and notify their physician if they notice any changes. Beyond that, people who have saline implants should have regular mammograms done at a facility where they specialize in breast implants, and those with silicone implants should continue to have MRI scans done every other year to make sure the device has not ruptured. Any patient who is diagnosed with breast implant ALCL should speak with a breast implant cancer lawyer to learn more about their rights under the law and how the law protects patients from medical devices that may cause harm. 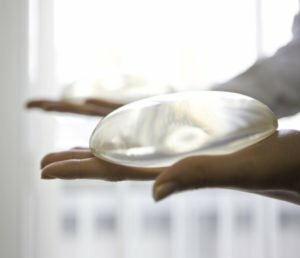 Some of these patients may be eligible to file a breast implant lawsuit to seek compensation for their injuries and to help pay injury-related medical bills and expenses. If you were diagnosed with Anaplastic Large Cell Lymphoma after receiving breast Implants, you may be eligible for compensation. Contact us today at 832-690-4053 for free, confidential case evaluation.